Wedding Film team from Precious Moments Wedding Films. Meet our Cinematographers and Editors are dedicated to providing you with a level of customer service that is second to known. Thomas is the creator and founder of Precious Moments Wedding Film. He is a Cinematographer, Editor, and Producer with more than 30 years of experience and over 2500 weddings under his belt. His passion for event Cinematography has earned him many accolades, including multiple Vista & Pace Awards and a nationally recognized Creative Excellence Award. He truly understands the importance of capturing and telling each couples unique wedding day story! Lisa is a talented cinematographer with more than 15 years of experience. Her keen eye for detail allows her to capture what is most important to a bride instinctively. It’s possible that this innate ability was nurtured through her many years as a licensed hairdresser and certified Motives Makeup Consultant. Her unique approach to detail and storytelling skills make her an essential member of our Wedding Film team. Gary has over 25 years of experience in television/video production as an Emmy-nominated Producer and Director. 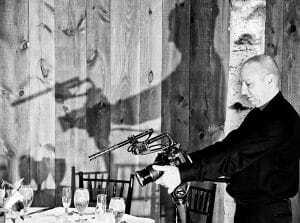 He has also had the pleasure of capturing many special wedding days as a Cinematographer over the past 12 years. Gary is a welcome addition to our team, and we are proud to call him a valuable member of the Precious Moments family! Meaghan already has 15 years of experience under her belt. Her skill set and talent as an Editor and Cinematographer go well beyond her years. She is a Graduate of Colby Sawyer College in 2009 and has earned her place as an award-winning Cinematographer with two Pace Awards and one Vista Award. Meaghan’s passion and enthusiasm are contagious to everyone she meets. Daniel joined Precious Moments Wedding Films in 2011 and is the newest member of our wedding film team and doubles as an Editor and Cinematographer. Daniel has excellent instincts and is very excited and passionate about wedding Cinematography. He is quickly becoming the go-to guy for creative and unique shots that give our films the wow factor. Amanda is a Graduate from Plymouth State University and for the last nine years has worked as a cinematographer and editor. She has been living part-time in New York City and pursued Theatre and TV work. She is as comfortable behind the camera as she is in front of it. Amanda is one of our full-time cinematographers and editors and thoroughly enjoys her behind the scenes work.